Check our latest and greatest in helping the Benson neighborhood of Omaha "Beautify Benson!" The neighborhood of Benson took a storm drainage area and turned it into the most beautifully landscaped area for the whole community to enjoy! Curzon printed these custom metal flowers for the garden that tells about the change in landscape area, local plants, water conservation, and more! Each sign was Printed on 1/8” dibond and then mounted to 1” thick black pvc. What a great addition to the Benson Neighborhood and a great idea to add beauty to any neighborhood! 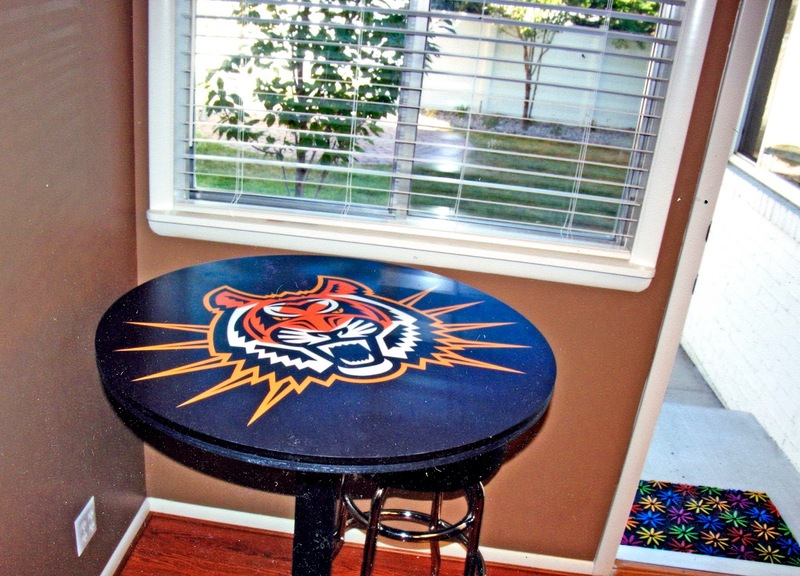 With a different base, this customized sign could be made into a Pub Table like below.